As part of my series about prominent entrepreneurs and executives that overcame adversity to achieve great success”, I had the pleasure of interviewing Miral Kotb. Miral Kotb, who is the Founder and CEO of the theatrical and technology-based company, iLuminate. 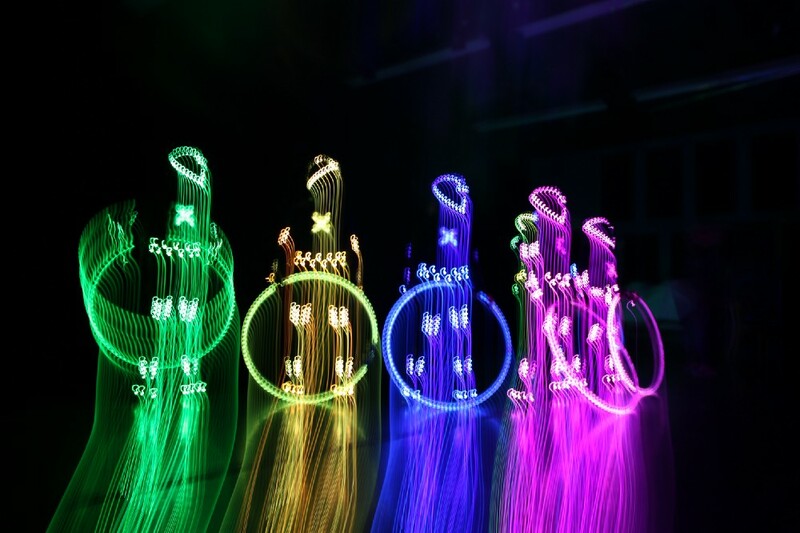 In 2011 iLuminate gained international fame on America’s Got Talent in which they were a finalist. Miral Kotb: I have been dancing since I could walk and became interested in computers when I was about 9 years old, I think that was when my parents bought our first computer. Through childhood and my early career as a software engineer and dancer I kept both those passions separate. Dance was my emotional outlet and engineering kept me challenged mentally. It was not until my breaking point that I came up with the idea to combine them together. Kotb: After I graduated college, I took a full-time job at Bloomberg, LP, as a software developer. The goal was to work there a year to pay off my college loans, then quit and dance professionally. Life had other plans… I was diagnosed with cancer a week before I was going to leave Bloomberg to dance full-time. I was lucky to still be at Bloomberg because I had amazing health insurance and the leave policy made it possible for me to get the treatments I needed without worrying about how to pay the bills or if I would have a job afterward. Kotb: It was challenging. I was relieved that I was able to keep my leg but the gravity of the whole situation was there. I had an amazing support system in my family and I couldn’t have asked for better people in my life. I was also quite lucky that my mind was intact, and I rediscovered my love for writing software and was quickly promoted within Bloomberg and heading challenging projects. Kotb: By staying at Bloomberg I became a much stronger software engineer. Once I hit my 5 year mark — where they were not longer concerned about the cancer returning, I left Bloomberg to freelance as a software developer writing apps. This is when I had the idea to merge my two passions, technology and dance! A dear friend of mine who does a lot of work with experimental dance challenged me to put my two loves together and iLuminate was the result! Crowley: Based on your experience, can you share 3 actionable pieces of advice about how to develop the mindset needed to persevere through adversity? Kotb: I know it’s hard to think about it in the moment but you can’t let experiences define who you are, it’s how you react that defines you. Through struggle came epiphany in my case. Next I would say surround yourself with positive people who are going to be honest with you no matter what. My family and friends stood by me the entire time and gave me advice that sometimes I didn’t want to hear. That made me grow and persevere as a person. My final thought is to not bottle up your emotions, they are a beautiful part of our humanity so share them! If you’re struggling talk to someone that you know will listen. You don’t have to go through it alone. Kotb: My family has been by my side the entire time. Whether it was buying a computer for their young little girl or taking me to dance classes. They lovingly gave their time and resources to make sure my mind and body were nurtured to grow to my full potential. Kotb: I am! I’ve been so blessed to be speaking with so many great programs like Google’s “Made with Code” which initiated the drive to create our own iLuminate educational camp. We are creating new hardware and lighting technologies, touring our theatre show, and looking to bring in cutting edge technology that has not even made it to the consumer, let alone in live theatre. Kotb: I would inspire a movement to let your true essence iLuminate. 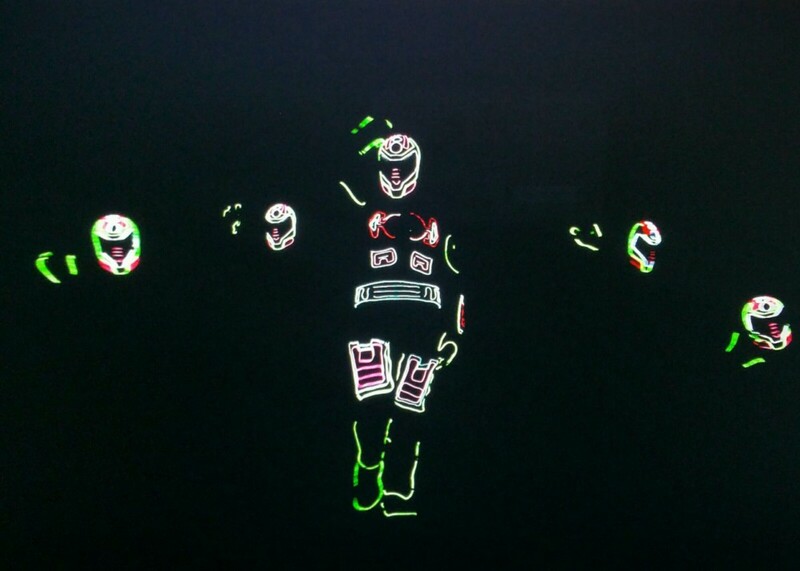 What I love about our shows is that you as a viewer watch the performers behind the light suits without knowing what they look like in real life. You do not have a chance to make subconscious judgements, good or bad, about a performer based on their race, sexual preference, hair style, age, appearance, etc. You just see their true essence and talent shine through! At the end of each show we take our masks off for bows and love to see the shock and approval audience members have when they realize their preconceived idea of what we look like behind the lights is instantly shattered. We strive to break down stereotypes and encourage acceptance with each performance. Kotb: Find a way to enjoy the challenges that life brings you. Seeing your dreams come true means so much more if you have to work hard to achieve them. And… One day… the lowest moments will be the best examples of your strength and perseverance.